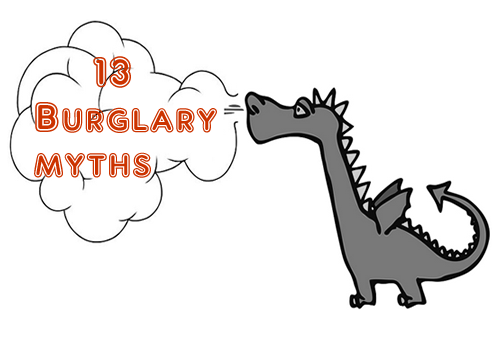 Myth 2: Burglars tend to prey for appliances and firearms being the most valuable items in a home. Contrary to belief, burglars are clever enough to target the most valuable yet easiest to transport items rather than behemoths appliances. According to Infographics for 2009-2011, most stolen items are cash-17%, computers-15%, cameras and mp3s-13%, jewelry-11%, mobile phones-6%. Besides, the ONS has provided figures for 2012-2013, which state that burglars nowadays tend to prey for mobile phones during robberies rather than wallets and cash, which are represented by 43%, 38% and 37% respectively. Myth 3: Of course, criminals would rather stay camouflaged in the dark and use this as a cover to avoid being caught. 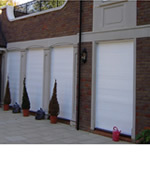 In fact, 56% of burglaries happen at night. 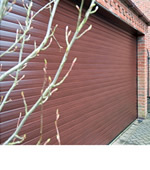 It is true that most burglaries take place after dark: 10% occur in the morning, 20% in the afternoon, 32% in the evening and 23% during the night, whereas 30% occur in the weekend. So, the majority automatically believes that break-ins ONLY occur at night. Actually, burglars simply access homes when no one is around to hamper their activities and do not have to be confronted by homeowners. Hence, they also visit during the day while people are at work and school… or away on vacation. Myth 4: Most homeowners believe that a home break-in is very unlikely. Burglars do their jobs as earnestly as any employed citizen. They watch for consistent patterns, such as when a homeowner leaves for work or gets home from work and gets into action when they know the home is vacant. Burglars can disguise themselves as service workers during the day so home owners are mostly burgled out of the blue as they least expect it. Burglars are opportunists who choose homes that are easy targets: Homes without any apparent security system or sign, homes of people who work fulltime and homes with poorly secured entry points. 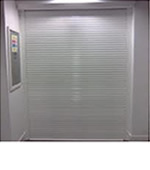 In many situations, a burglar can breach a poorly secured door in only 10 seconds. It usually takes 20 minutes or more for the police to show up in response. Meanwhile, the burglar is in and out in 8 minutes without ever having to cross paths with the absent homeowner. Myth 6: Home security systems do not discourage burglars at all, especially if you live in an area with low crime rate. 9 out of 10 burglars move along when they cannot get past the home’s security. 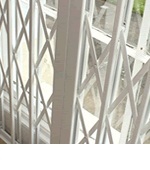 Even if you live in a relatively safe neighbourhood, ensure your house is equipped with the necessary security barriers including Shutters, Grilles and Gates. Myth 7: Leaving lights on each time you leave the house makes burglars think someone is at home. This is actually an invitation to clever burglars. The latter get to know your neighbourhood and your schedule. A light that stays on too long in one place is a signal that you’ll be gone for a while. It’s better to have lights go on and off in different parts of the house on a random schedule with the help of Electronic timers. Myth 8: Having an alarm sign or stickers will deter burglars from entering. It may definitely help you feel secure, but it can also tell a burglar what alarm company you’re using. 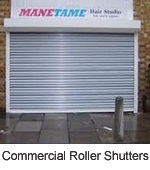 Burglars can figure out how to circumvent your system by easily purchasing plans to different branded systems. It’s better to use a generic sign, because a burglar cannot be sure exactly what system you’re using. Myth 9: A big dog will keep out unwanted intruders. A dog’s bark is the real deterrent. Small dogs, such as such as a Chihuahua or a Schipperke, do a good job of barking when someone enters your property. Large dogs, unless they are trained, usually don’t bark much — which is great if you want to get some sleep, but it’s as good as a scarecrow for scaring off burglars. Myth 10: Locking your house is enough to keep burglars at bay. Like all houses and doors are not the same, not all locks are the same. Ordinary pin tumbler locks are riskier to use because thieves can open them with bump keys. 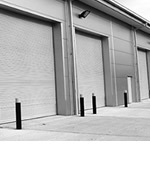 Indeed, burglars are rather skilled at Lock Bumping – Is your premises secure? Myth 11: Keeping valuables in ‘secret hiding places’ is effective. It’s best if you put valuable jewelry and documents off premises in a safe deposit box or a secure safe. Most people tend to hide valuables in their bedroom in standard hiding places such as the underwear drawer, under the mattress and closet shelves but these are the first places burglars look. It’s better to scatter your valuables in more than one place, and to hide them in unusual places, such as the freezer, or in a cereal box in the cupboard. 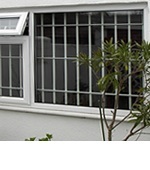 Many homeowners keep thorny bushes in front of windows keep burglars out. However, professional burglars usually wear gloves and two layers of clothing, while carrying cutters or similar equipment. Some thorns are not going to deter a determined burglar. Instead, be sure you keep those plants trimmed below the sills so they can’t easily conceal a burglar. Actually, stopping newspaper and mail delivery is a hint that you are away. It’s better to have trusted friends and neighbours checking on your house, picking up the mail and newspapers for you and making the house look occupied. While the general public is misinformed or under-informed about burglaries, separating fact from fiction is one of the first steps in getting the ins-and-outs of burglary right in order to protect your home. Contact Us Today and speak to a member of our team to find our how you can secure your property.